Rogue One #1: The adaptation that probably no one was waiting for is here. It follows the movie from the beginning until Jyn’s team arrives at Jedha City. This doesn’t cover much of the story, but adds some stylistic touches that make it a fine reading experience. The nice little bonus is a note from Gareth Edwards, director of the film, stating that the comic would include cut content from the movie and some alternate takes on scenes. This issue doesn’t really show that off much, but hopefully it will allow the characters to have a bit more personality in the comic than in the movie. The big flaw of this book is the art by Emilo Laiso and Oscar Bazaldua. 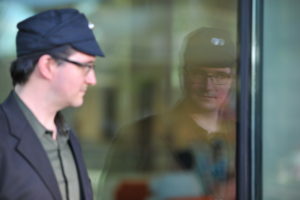 Very few of the characters look like their actor counterpart, faces look bad in general, and some of the sequential scenes are a little hard to follow. To make matters worse the coloring looks faded and some tones like Jyn’s hair don’t look right. I am curious to see the added scenes, but unless you are a rabid fan of the movie there really isn’t a reason to jump on this comic yet. Star Wars 30: It really feels like this arc has been going on for too long. It’s an interesting story, but feels really drawn out. This was likely done because of the upcoming Star Wars crossover “The Screaming Citadel” which looks to be exciting, but it really shouldn’t mess up story arcs like this. This is the ending chapter of this story and tells of Yoda ending the war on the unnamed planet and Luke facing Garro to determine the fate of the dying planet. It wraps up well and the art is great so there is no major complaint other than my previous statement about this being a drawn out story. This is a weaker arc in this comic, but it isn’t bad by any means. Doctor Aphra #6: The first arc of the series comes to an end with Aphra and her father trying to escape the ancient warrior Rur as the Imperial forces give chase. This arc was not all that great and doesn’t really stand up to the ‘Darth Vader’ series from which it spun off. The writing is fine and the art is fine, but it just feels a little bland overall. The next arc will be a crossover story so I don’t have high expectations for that either. 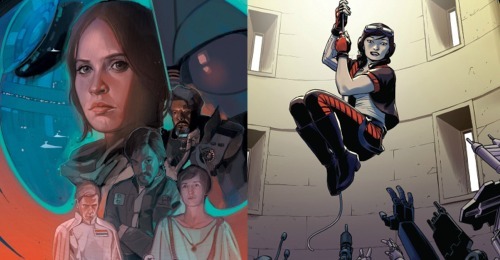 If you like the Aphra character from the Vader comics then give this arc a read, otherwise just skip it and start up with the Screaming Citadel crossover with the main ‘Star Wars’ series. Darth Maul #3: Maul and his team of bounty hunters go forward with their plan to kidnap the captured Jedi Padawan, but they aren’t the only people with a plot. This issue moves the story forward and sets up an interesting tease for the next issue. The writing is great and the art is still done with decent quality, but the coloring can be a little too dark sometimes. This series keeps getting better and it looks like the next issue will be action packed. While this story isn’t revealing anything new about the title character it is full of intrigue and action, which makes it a fun read. Poe Dameron #13: Wow, one of those rare moments when reading the novels pays off. If you are familiar with the ‘Aftermath’ series you get to meet up with another member of that team in this issue. Beyond that surprisingg little Easter egg this is a very action packed issu with Black Squadron battling Terex’s fleet while Poe fights for his life in a cave. This issue is a significantly better version of a similar scene from earlier in the series, which shows just how much this series has grown. The art is still terrible. There are issues with sequential storytelling and while some of the stills are nice the action doesn’t flow well panel to panel. I did like how this issue ended and while this volume is nearing the ending I am curious how they will wrap things up. If I could hand out a ‘most improved’ award this would be the series that gets it.